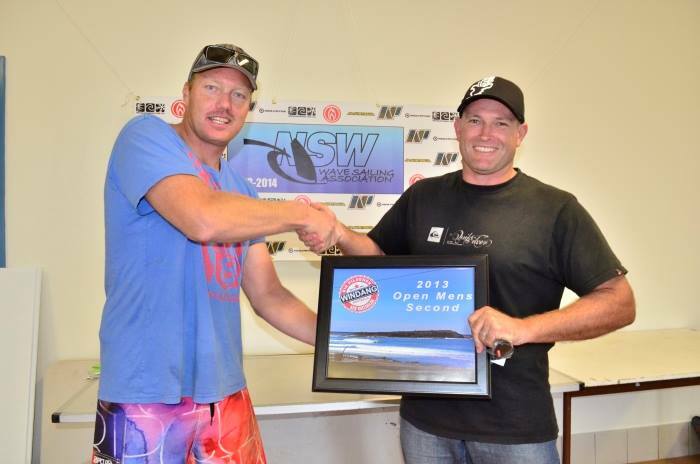 The second event of the 2013-14 NSW WA season was hosted at one of the best southerly big wave locations on the east coast. 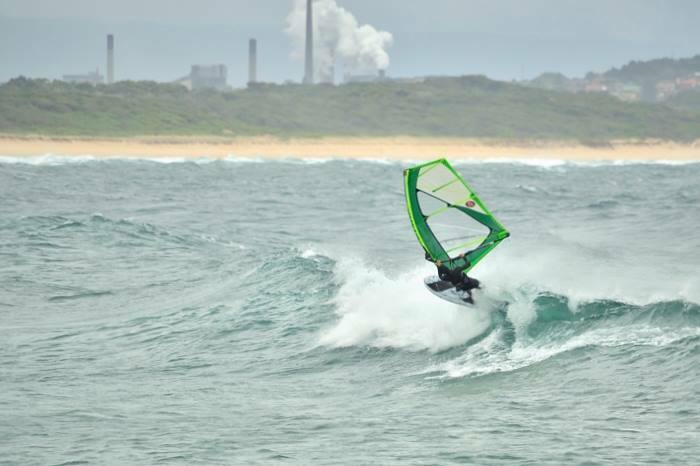 The Big Air Windang supported by WindSurfnSnow, Neil Pryde, JP Australia, Natural Necessity and Dirty Dog lived up to all the hype. 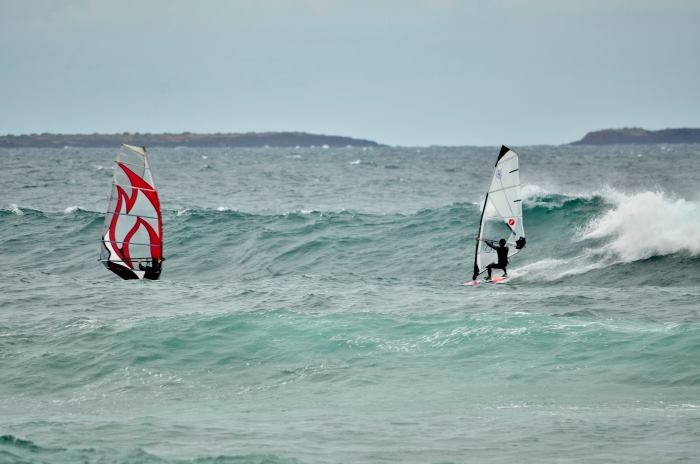 Over two days competitors scored over 8 hours of sailable conditions with the finals held in the best conditions of the weekend. Sign-on began at 10:00 Saturday morning with condition predicted to build in the mid-afternoon. 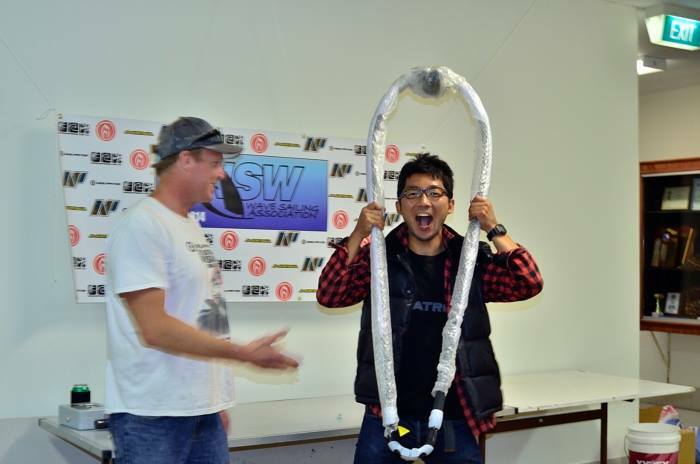 Pre sign on entrants were rewarded with double the chance to win a NP X6 hybrid carbon boom from WindSurfnSnow. 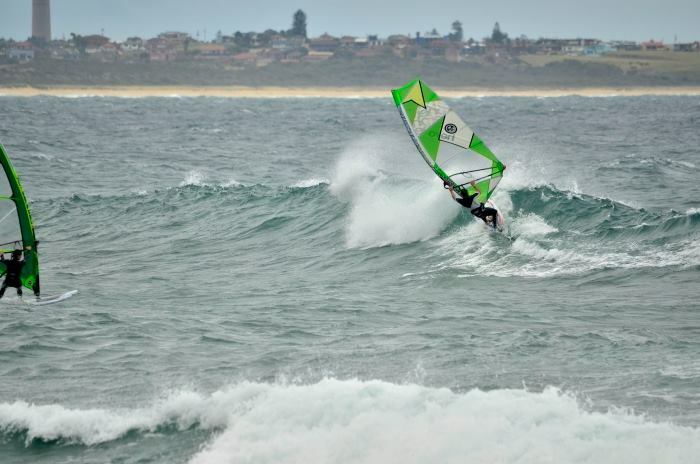 Competitors were greeted with a light sideshore breeze and the option to spend the day sailing or chilling out watching videos in the Windang surf club. However the clean waves peaking up on the bank next to the river mouth were too tempting for most. 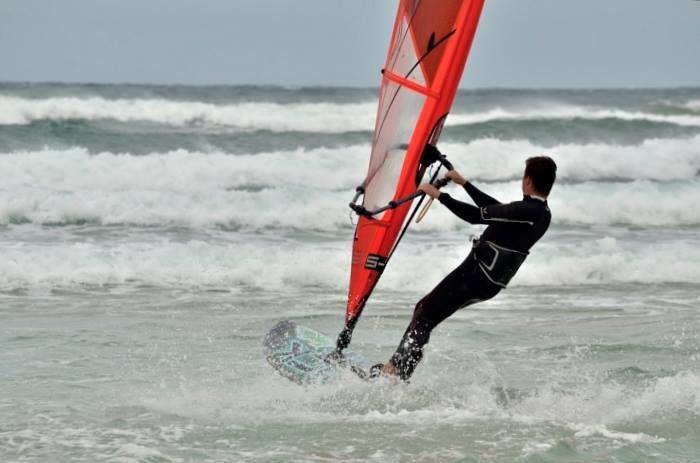 5.5m sails, floaty boards or sup sail was the call. 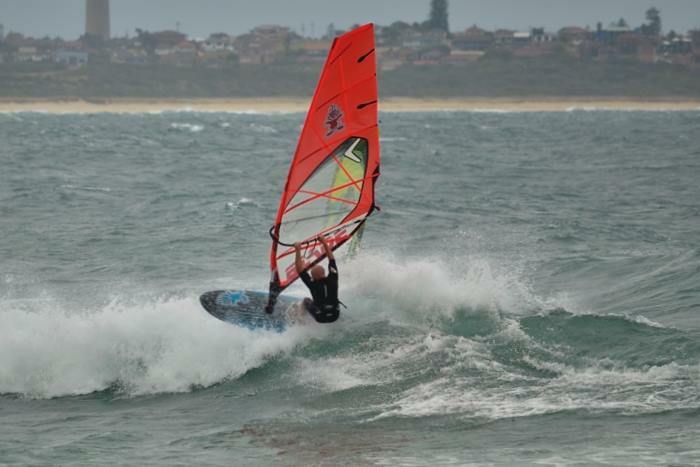 Around mid-afternoon the wind switched onshore and picked up to full planning conditions. The beach break offered plenty of ramps and power to smack backside airs if your timing was right. And then the rain squalls came. At one point the rain was so heavy it looked like mist on the water and you had to sail with your upwind eye closed. 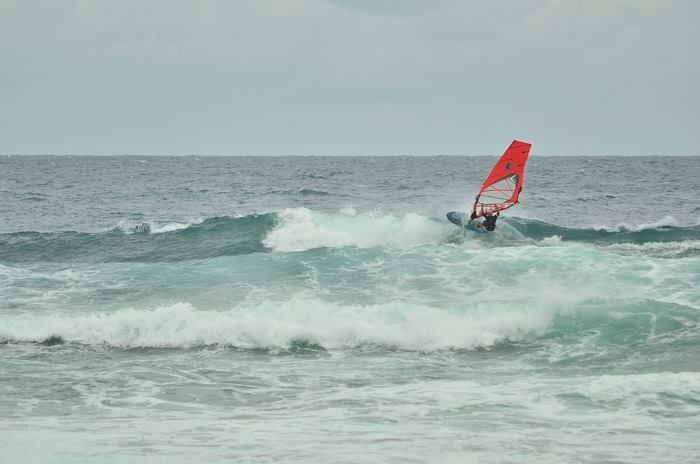 However, as this was the best wind of the day no one left the water. Saturday night was pizza and beer night with the raffle and coupe of inspirational DVD’s for Sunday. Koichi Kaneda was the lucky recipient of the carbon NP X6 boom. Sunday was looking promising for more swell as the southerly winds blew all night. The skippers meeting was called for 10:30 with Willy Weather predicting strong cross shore winds later in the afternoon. The good waves tempted a few sailors out despite the light winds. Drifting out with the tidal current through the river mouth was the easiest way to get to the break. Patience was rewarded with clean overhead peeling rights. However, the relaunching from the beach proved next to impossible. Suddenly the wind was in and everyone scrambled down from the surf club to get amongst the building waves. What followed was one of the best hours of sailing since last year’s comp. A solid breeze meant everyone was fully powered on their smaller boards, pulling decent jumps and scoring multiple turns across the face of some chunky overhead sets. Two breaks formed up with a longer right hander lining up next to the break wall and short deep pitted and one hit thumper in the middle of the beach. Young Alex was cleaned up by one of the bigger sets of the day, became separated from his gear and ended up in the washing machine rip. He kept his cool and threw his hand up for a pick up from the jet-ski while the boys grabbed his gear which miraculously emerged unscathed. Following an hours’ expression session the judges split the divisions up and ran two half hour super sessions to judge the best riders of the day. Masters, Juniors and Ladies were sent out first to be followed by the Pros. Half an hour gave plenty of time to pick and choose the right waves although the better ramps seemed to elude the competitors. 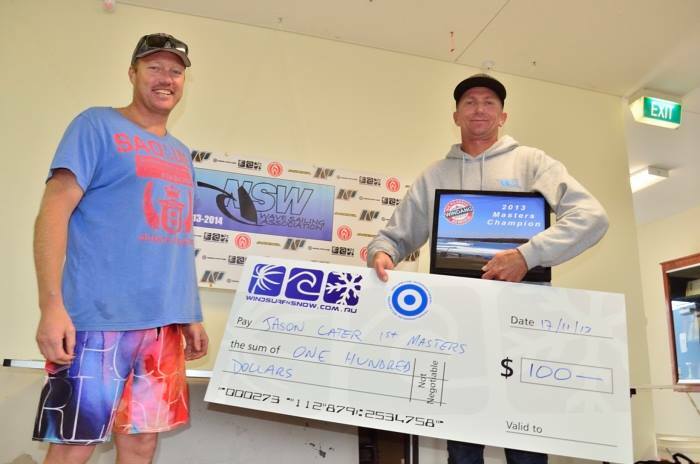 Jason Cater was the clear standout in the Masters with smooth wave riding and an uncanny presence to be in the right place at the right time. Young Jake Juretic was sailing so well he was mistaken for his dad a couple of times, while Jessica Crisp combined some great aerials with her signature table tops. 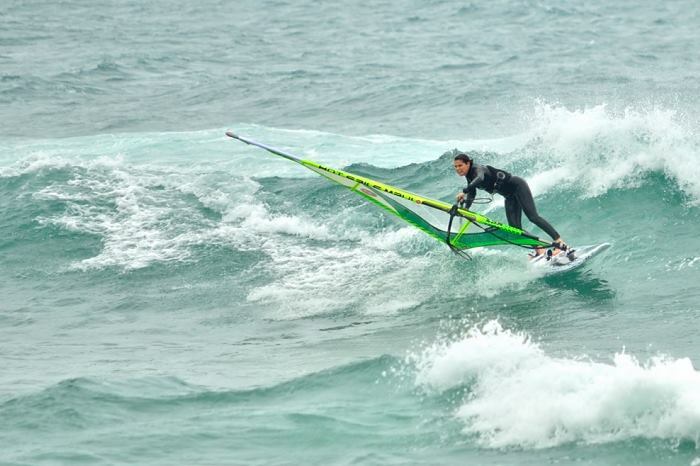 At the heat change over the wind was looking a little light and pro competitors had to consider the possibility of not quite being powered enough to get around the break with ease. 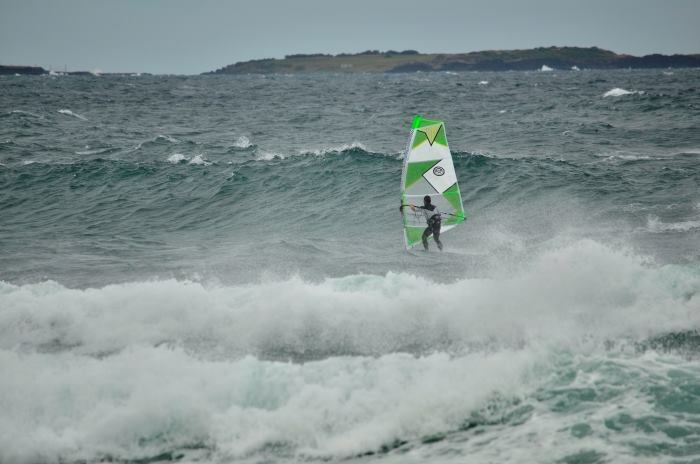 However, sensing that some major east coast talent was about to hit the water the wind rose again to top 18-20 knots and solid lines of swell steamed in. 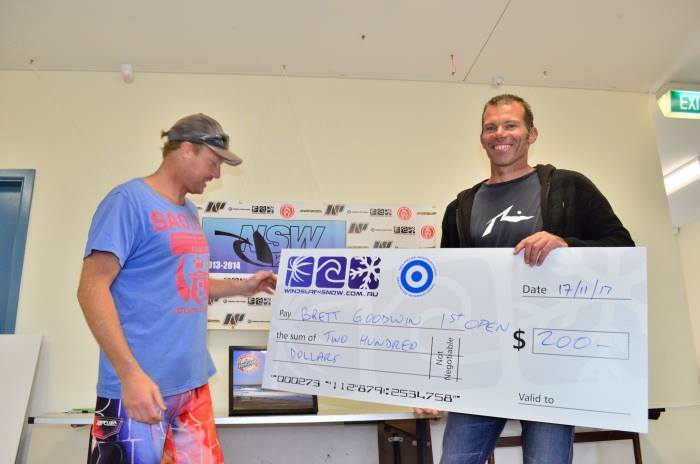 Brett Goodwin was sailing like a man who had just watched a few heats of the PWA Aloha Classic and combined speed with multiple vertical smacks to dominate the wave riding. Not content with back looping his way to victory he launched a forward of the lip, landing back on the face. A well-deserved and well-overdue winner. 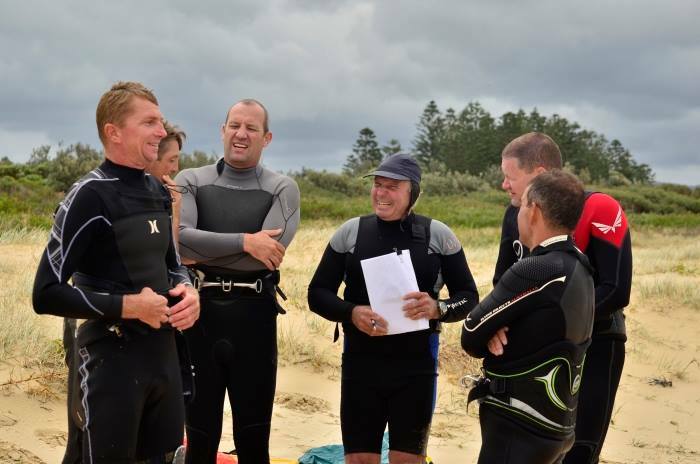 A great weekend away to hanging out with mates and sharing a few beers and scoring all time Windang. 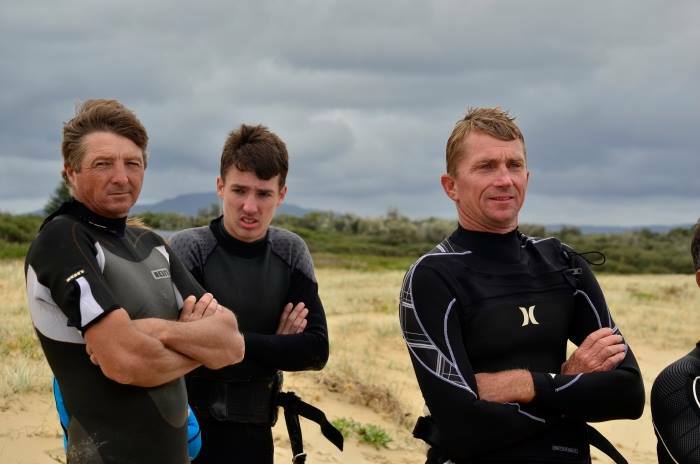 Sailors got to experience a range of conditions form light side shore wind and clean waves to torrential rain, strong onshore and chunky solid surf. Thanks again to the sponsors whose generosity and support have made just attending so worthwhile. 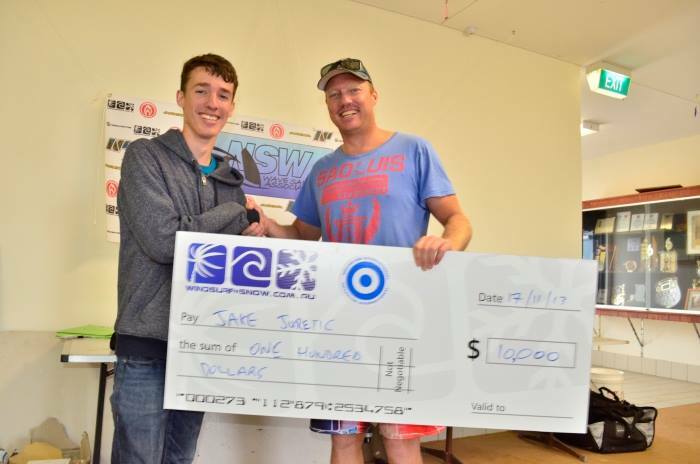 A special thanks to Windang surf club for providing rescue support, the club facilities and generally shelter from the wind and rain.